Sony Xperia T is newest product from Sony which is a modest improvement over Sony's older phone. Sony Xperia T has great display with 4.55" touchscreen-scratch-resistant LCD, 16 milion colours, 1280 x 720 pixels. 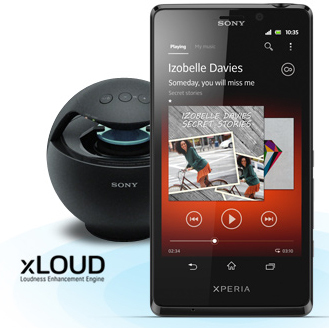 13 MP HD camera from Sony Xperia T with full 1080p HD video recording captures it all in stunning detail. And since the most unforgettable moments are often unexpected, you'll be glad the fast capture camera goes from sleep to snap in just over a second. Sony Xperia T comes with the new "WALKMAN" app. fill it with your playlists or tap into one of ours and get album art and artist info in the process. Go further into music Unlimited and choose from milions of songs. When you've found the right track, crank it up with xloud loudness enhancement, get it just right with graphic equalisers, and enjoy soul shaking clarity or connect to wireless speakers and use your phone as the ultimate DJ deck. Learn more Sony Xperia T with download Sony Xperia T user manual in below and fun life with your Sony Xperia T.
Hopefully useful to user Sony Xperia T.